Over 1200 registered people spread over 11 events, all categories of the fintech ecosystem involved, a week between social trends. 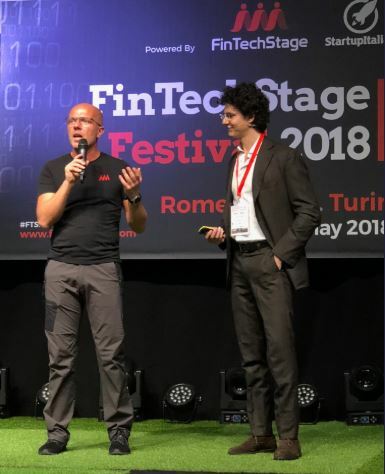 The first Italian Fintech festival, organized by FintechStage with the Fintech District as ecosystem partner, has been an international success. Even in Dubai they noticed it and asked to do a similar festival in January. From 7 to 10 of May, the first Italian Fintech festival involved three Italian cities – Rome, Milan and Turin – proposing a program of meetings with international speakers, experts in artificial intelligence, open banking, Regtech, crowdfunding and InsurTech. It was an event open to the world, with all events in English, and open to institutions, financial institutions and banks that had the opportunity to organize their own event within the first Italian Fintech festival in order to raise awareness of the fintech sector as much as possible and to explain how it is evolving and changing. Matteo Rizzi, co-founder of FintechStage, satisfied with the success of the festival, promises “a next edition, much bigger, next year” saying that already in January there could be a ‘field trip’ to Dubai “who wants to do a festival with us”. There were more than 1200 people in total at the 11 events scheduled, there was a large participation therefore, considering that it is an industry event. 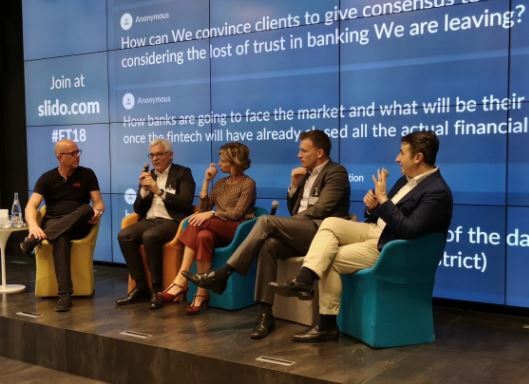 The open and international format chosen for this first Italian Fintech festival “was able to involve all the categories of the fintech ecosystem – says Rizzi – startups, investors, banks, insurance companies, technology partners and regulators. Also finally the universities. In all three cities there was an excellent response and we were among the social trends for a week”. The theme that was most successful was undoubtedly the collaboration between banks and startups: “we talked about it every day, in every meeting, no matter what the specific topic of the discussion was”. Among the most surprising events that will remain in the history of this first Italian Fintech festival, according to Rizzi, there is the one with the CEO of SwissRe, Daniela D’Andrea, “a pragmatic and innovative woman, for the first time at FinTechStage. We are really proud of it! “. Another very mentioned topic in all the 4 days was the need to spread more knowledge about the fintech. FintechStage, which organized the festival for this purpose, will not wait for the next edition to contribute“. After this first Italian Fintech festival, thanks to the partnership with Gellify, we will be much more active in Italy, both as a targeted strategic consultancy, not in competition with ‘the Big ones’, and as events and workshops “. Just before the start of the festival, Gellify, a B2B innovation platform, announced the acquisition of FinTechStage with the aim of expanding its innovation advisory activities and creating vertical communities also in the Finance sector. According to Rizzi, the partnership with Gellify “is ideal for pursuing the growth objectives that FinTechStage has set itself by adding to the part of eco-system building an activity of strategic consulting and business co-creation”.